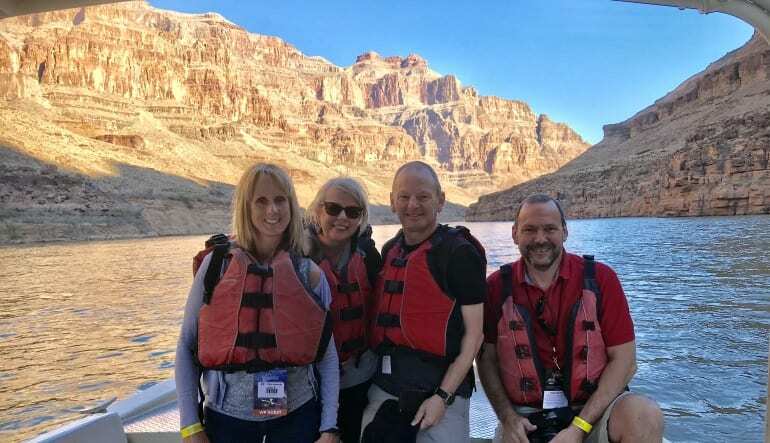 Experience it all on this amazing land, air and water tour of the wondrous Grand Canyon. 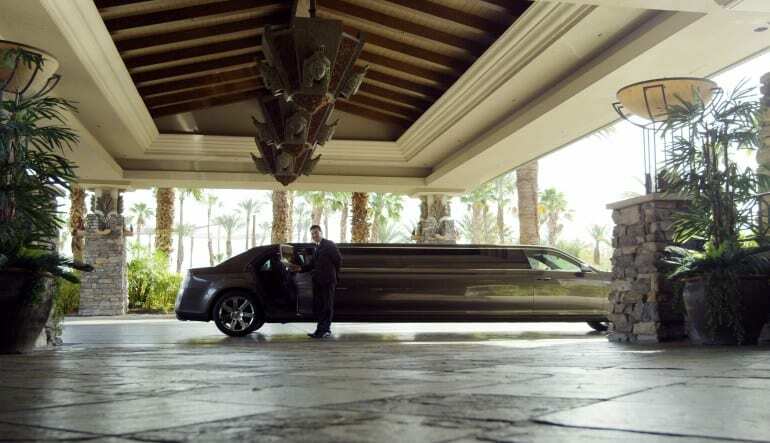 Start the adventure in style and receive a stretch limo ride from you hotel to the helicopter. Take off and travel to the Grand Canyon with an in-flight narration talking you through the many beautiful sights. 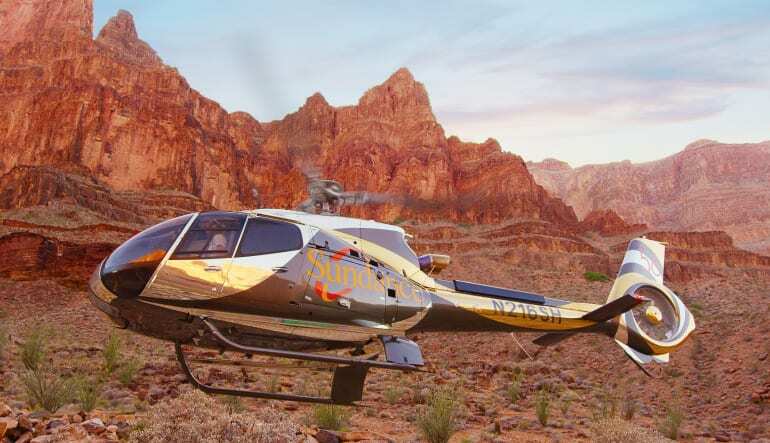 Soar over and fly into the Grand Canyon! 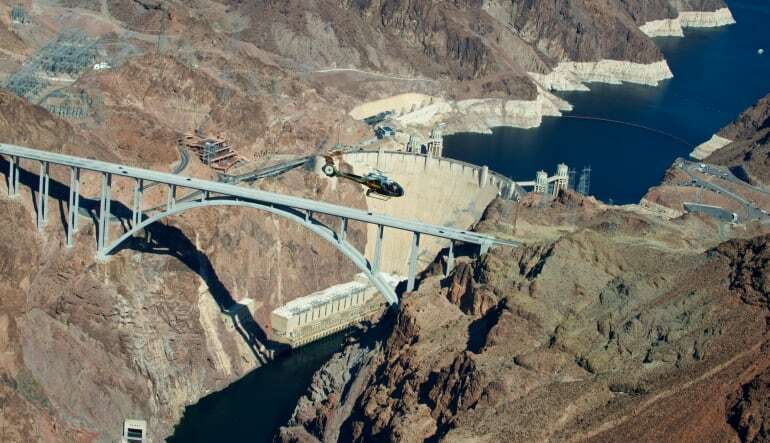 Not only do you get to see it all from above—the flight actually touches down deep below the canyon’s towering walls! 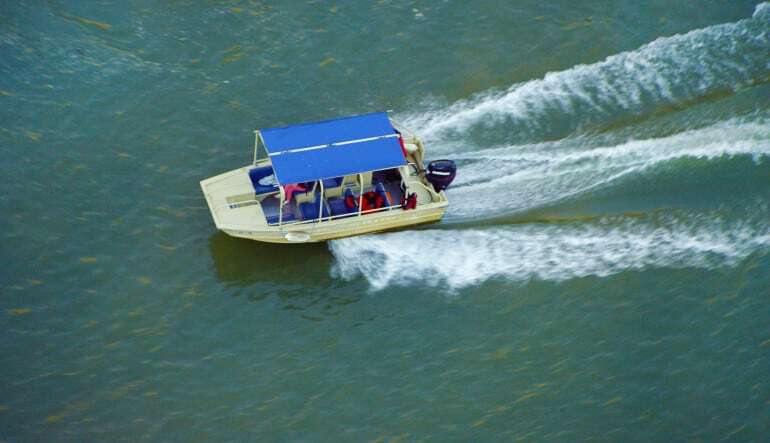 For this down-to-earth leg of the journey, you’ll hop into a riverboat and cruise the Colorado River on a guided tour. 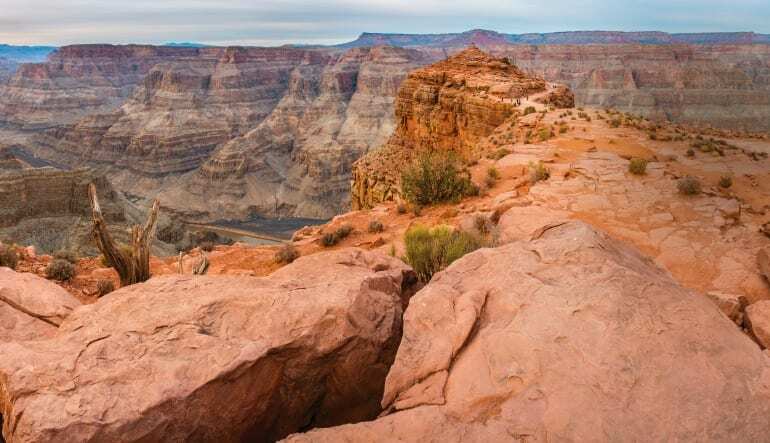 Drift through the Grand Canyon and appreciate it in all its grandeur! Now it’s off to Eagle Point. The Native American Village features an enormous rounded glass bridge suspended nearly 4,000 feet above ground! Next up is Guano Point, a tram that stretches nearly 9,000 feet across the canyon. Here, you’ll enjoy a delicious BBQ. Dine out at the canyon’s edge with unbeatable panoramic views! Last stop is Hualapai Ranch, an old western town with wagon rides, roping tutorials, quick-draw lessons and a slew of other Wild West activities! On the chopper ride back, enjoy a nice overhead view of the Strip! A limo takes you back to your hotel and after the dizzying, 6.5-hour journey, you’re liable to take a nap in it. Get your fill of adventure and then some!